WADAH Sabah ingin mengucapkan tahniah kepada Sdr. Milus Alu, ahli WADAH Sabah dan Pn. Rosnih Nasir, Mantan Ketua HELWA ABIM Sabah yang telah berjaya menyelesaikan pengajian dalam peringkat Sarjana atau Master Degree di Universiti Malaysia Sabah (UMS). Begitu juga kepada Sdr. Mohd Zikri Zainudin, Timbalan Yang Dipertua ABIM Sabah yang telah berjaya menyelesaikan pengajian dalam peringkat Sarjana Muda atau Bachelor Degree di Universiti Tun Abdul Razak (UNITAR) dan akan berkonvokesyen pada 30 Oktober 2010. WADAH Sabah berharap agar mereka ini terus menyumbang tenaga kepada masyarakat dalam menyampaikan mesej dan peringatan yang baik untuk masyarakat khususnya di negeri Sabah. Sesungguhnya kudrat mereka inilah yang banyak membantu WADAH Sabah memartabatkan Islam di negeri Sabah dan WADAH Sabah mendoakan agar mereka terus diberi kekuatan oleh Allah s.w.t untuk menyumbang kudrat mereka menegakkan kebenaran dan keadilan. Pada 3 Oktober 2010 lalu, WADAH dan ABIM Sabah telah berkunjung ke Kg. Tamalang, Telipok untuk program Jejak Ukhuwwah Aidilfitri bersama penduduk di Kg. Tamalang yang kebanyakkannya adalah mualaf. Program ini bertujuan untuk membina ukhuwwah bersama penduduk di Kg. Tamalang disamping usaha untuk mencari dana membina Surau di Kampung Tamalang. Program ini diserikan dengan ucapan daripada Ketua Kampung Tamlang dan Pengerusi Wadah Pencerdasan Umat Malaysia (WADAH) Negeri Sabah, Tn. Hj. Sainuri Hj. Yahmin, yang kemudianya disusuli dengan majlis ramah mesra bersama penduduk Kg. Tamalang & jamuan Aidilfitri bersempena dengan bulan syawal. Semoga dengan program Jejak Ukhuwwah ini dapat mencari kampung-kampung terpencil dan terpinggir di bumi Sabah untuk menjejaki saudara semuslim kita yang suaranya kurang didengari. WADAH-ABIM-SISMA Negeri Sabah telah menganjurkan Majlis Rumah Terbuka Aidilfitri 1431H & Ramah Mesra Bersama Ibubapa pelajar Taski ABIM pada 2 Oktober 2010 (Sabtu), bertempat di Taski ABIM Putatan. Antara yang hadir dalam majlis ini adalah Timbalan Pengerusi Wadah Pencerdasan Umat Malaysia (WADAH) Negeri Sabah, Sdr. Muddin Beting, Yang Dipertua Angkatan Belia Islam Malaysia (ABIM) Negeri Sabah, Exco WADAH, ABIM dan SISMA serta ibubapa pelajar Taski ABIM. Majlis ini diserikan dengan ucapan alu-aluan oleh YDP ABIM Sabah, Dr. Abdullah Bade, penyampaian cenderahati kepada mantan exco ABIM 2009/2010, penyampaian hadiah kepada ahli ABIM yang menyambut hari lahir pada bulan September yang lalu dan penyampaian duit raya kepada pelajar Taski ABIM dan kepada kanak-kanak yang hadir dalam majlis tersebut. Semoga dengan adanya majlis ini dapat mengeratkan lagi silaturrahim di antara exco WADAH-ABIM-SISMA berserta ibubapa pelajar Taski ABIM untuk sama-sama menegakkan syiar Islam di bumi Sabah. WADAH-ABIM-SISMA komited untuk mendidik anak-anak dan pelajar Taski ABIM untuk berjaya di dunia dan di akhirat serta untuk mendidik dan menyedarkan masyarakat untuk membudayakan Islam dalam kehidupan, ‘Islam is the way of life’, untuk menjadi khyara ummah atau umat yang terbaik selaras dengan kehendak Allah s.w.t dalam al-Quran. 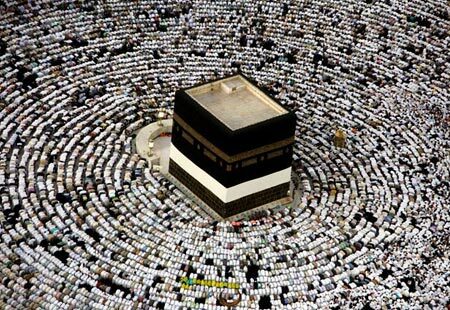 To call people to Allah is the duty of every responsible and conscientious Muslim. 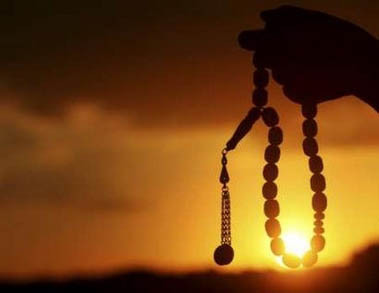 Since there is no priesthood in Islam or sacerdotal class among Muslims, the duty of the call to Allah cannot be limited to an ill-conceived and imaginary group called the ‘men of religion as is the case with other religions.’ In Islam, everyone is a man (or woman) of religion and everyone will be accountable to Allah as to whether or not one fulfilled their obligations sincerely and to the best of their abilities. The adage: “Actions speak louder than words” was well embodied in the Islamic history, namely the spread of Islam in many non-Muslim countries- like parts of Asia, Africa and Europe- through the good conduct of Muslim merchants who came into commercial contacts with the people of those countries. 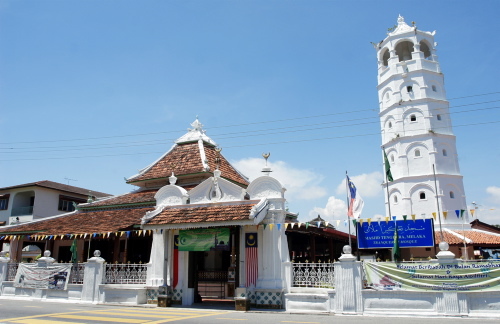 By the 14th century CE, as Islam made its way through Indian and Chinese merchants into the area of today’s Malaysia, Buddhist and Hindu influences gave way. Islam became the source of legitimacy for the Malay feudal rulers. It was during this period that Islamic and Malay identities combined together, though many Hindu and pre-Hindu customs and practices remained part of the Malay cultural and social mix. 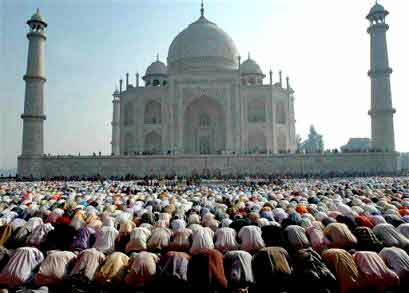 Muslim influence in Southeast Asia is at least six centuries old, i.e., it was present by 1400 A.D. Some argue that the Islamic presence there goes back to at least 1100 A.D. in the earliest areas of Islamic influence, such as in Aceh and northern Sumatra in Indonesia. Whatever exact dates and sources one chooses to support, there is no doubt that the acceptance of Islam by many nations in present-day Malaysia, southern Thailand, Indonesia, Brunei, and the southern Philippines occurred within a few hundred years. 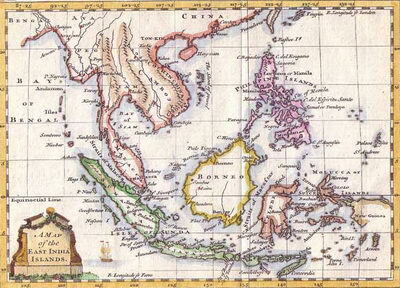 In the year 1500, the historian Anthony Reid notes that Islamic influence was present in coastal ports of Sumatra, Java, and Malaysia. Southeast Asian peoples came into direct contact with Muslim traders who had been not just to India, but also to Arabia. Arabic scholars also came to Malaysia and Indonesia, facilitating information about the new religion. The successful spread of Islam in Indonesia, Malaysia, and the Philippines owed much to the introduction of the Noble Quran and other Islamic books and references. Today, 90% of Indonesians are Muslims, while over half of Malaysia’s population is Muslim. 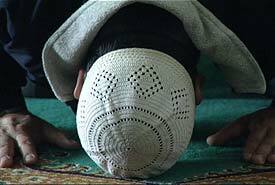 In the Philippines, where the Spanish (and later Americans) won the war for religious converts, only 5% of the population is Muslim. 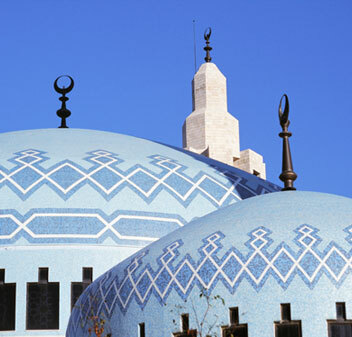 The growth of cities was both a cause and effect of the spread of Islam and economic growth in Muslim-ruled areas in Africa. Cultural developments in literature, arts and sciences, manufacturing and trade accompanied the spread of Islam and its influence on religious, intellectual, economic and political life in those regions. Although unified Muslim rule lasted only about a century, Islam kept spreading and Muslim culture and society flourished. Before 1500, Islam spread widely in sub-Saharan Africa. The first town south of the Sahara that became majority Muslim was Gao on the Niger River in Mali before 990, when a ruler accepted Islam. Over the centuries, many rulers followed. By 1040, groups in Senegal became Muslims. From them Islam spread to the region of today’s Senegal, west Mali, and Guinea. After the Soninke of the Kingdom of Ghana became Muslims about 1076, Islam spread along the Niger River. Muslims established the kingdom of Mali in the thirteenth to fifteenth centuries, and Songhai from1465 to 1600. Farther east, Kanem-Bornu near Lake Chad became Muslim after 1100. In West Africa, as was the case with Southeast Asia, it was traders who introduced Islam, and many rulers accepted it first, followed by others. African Muslim scholars became established in the major towns like Timbuktu, and they taught, wrote and practiced Islamic law as judges. 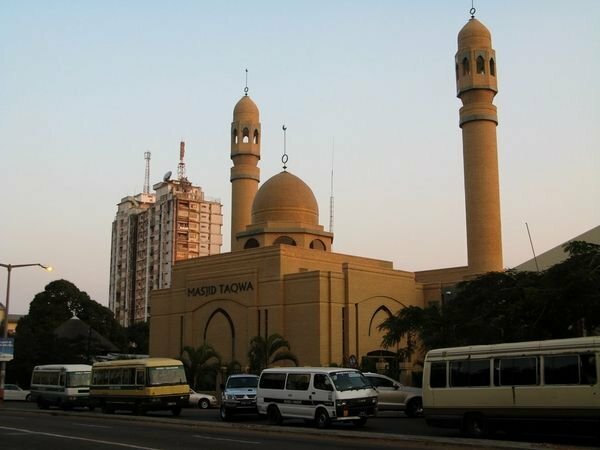 Islam was established in West Africa throughout the Sahel belt and along the Niger River into today’s Nigeria. It was famous trade routes which led to the empire of Ghana and connected prominent African places like Timbuktu (in Mali), the present Nigeria, Tripoli and Tunisia. These routes had made all the above mentioned places famous trade centers. These centers of trade invariably became centers of Islamic learning and civilization. New ideas came through visiting traders in the field of administrative practices. In East Africa, traders had spread Islam down the coast by the tenth century, and it gradually developed further in the following centuries. In the Sudan, south of Egypt, the population of Nubia gradually became Muslim during the fourteenth century, through immigration of Muslim Arab tribesmen. Muslim rule and influence, however, did not extend south of Khartoum, where the Blue and White Niles before 1500. The meaning of imaan is not merely to think we believe in Allah, or blindly assume that we know Him, for real imaan is based on solid knowledge, and a true dependence is based on a reliant trust..
Notice the mentioning of the pillars of Islam first, as one must know what he or she is required to embark on if they wish to become a practising Muslim. The shahadah carries with it a great deal of important and influential status, so significant is it that we must refer to our shahadah as our first operation amongst conviction and therefore must know of Allah and His messenger. As our pillars of imaan are cited, we must take clear note of them. We are told at the end of the hadith that Jibreel (as) came to “teach you your religion”, and we must understand the importance of this hadith as we live in our common world. In this hadith, faith is described and we are afforded a precedent to follow, in order not to confuse ourselves with this life and the hereafter. What I would refer to as an emotional faith seems to posses and occupies many of us and we are often inclined to this state as an initial reaction to the zeal of practicing Islam and uttering our first shahadah. Being overwhelmed by the emotion that this first shahadah can bring, we become addicted to the emotion it creates. Similarly likened to the feeling of love, it has a domineering influence and can easily become addictive. The upkeep of this imaan is extremely difficult as it has no firm basis, and inevitably at times we become overwhelmed with other emotions that just as easily overpower our faith. If imaan is based on a feeling or emotion, it will become submissive, just as fear can override happiness, love can override sadness, and so on. We try to hold on to this imaan with nasheeds that we believe strengthens our faith, seemingly becoming reliant on other people to ‘lift’ and ‘help’ us. This is a dangerous and somewhat lazy way of establishing our faith, and though in the beginning natural, a dependence on this feeling of zeal has no basis in the deen. We have to endure many hardships and calamities in our lives, and in this state of imaan we do not stand a chance. At one point or another we will find ourselves weakened without even noticing. Learning and studying other branches of what could be politics and global legislation before our grounding upon the pillars of faith could almost certainly be described as a deception of Shaytaan helping us to believe we are gaining knowledge and that it is helping us succeed. While all of this is happening, he is helping us to bypass what we really need to adhere to – our basis and rationale that is Tawhid. How many of us are clear on the Names and Attributes of Allah, without premise? Knowing Allah is a very important part of our relationship with Him, and once gained, this knowledge is never lost forming a firm basis for our Tawhid, and subsequently, our faith – true faith. Knowing Allah makes a person love as well as fear Him, it helps us place our trust in Him, increasing sincerity in all actions. This is the essence of human happiness. There is no other way of knowing Allah except by knowing His most beautiful names and understanding their meanings. We are strengthened in our relationship with Him, by increasing our first pillar of imaan by knowing Allah. If we occupy ourselves with the learning of Allah, we are doing what we were created for. The meaning of imaan is not merely to think we believe in Allah, or blindly assume that we know Him, for real imaan is based on solid knowledge, and a true dependence is based on a reliant trust. The Prophet Mohammed (pbuh) spent over a decade with his sahabah in Makkah, strengthening their faith even before the inclusion of prayer which occurred in Medina. Most early chapters are those of imaan and can be related to the pillars. Belief is penetrated by a cognitive, astute and sophisticated wisdom – all through knowledge. “except for those who bear witness to the truth knowingly” (that there is no god but Allah – la illaha il-Allah) “and they know” – in their hearts the meaning of the words they utter with their lips. Our whole lives have been based on knowledge. We were never born with wisdom. We are only at the stage of ability we possess now through knowledge and guidance we have been allowed to acquire, given by Allah through our environment. Let us not retire to anything less when it comes to our deen, and knowing our Creator. It can always be a taboo subject when admitting we are slipping in our efforts to maintain a hold on our faith, and hence, we don’t always refer to such subjects. Through complete understanding of who Allah is, and our knowledge building us instead of our emotion, we hope to accomplish our relationship with Allah that we so desperately need and live for. In procuring such knowledge we will find our emotions are of a deeper and more meaningful level of faith. We must know our Lord to satisfy ourselves, and render ourselves a true imaan, fully restored which no emotion can sway, emotions that register as a result of knowledge.